Even a move down the block can be a big deal. Contact us now for help! A long distance move may cover more ground, but it shouldn't cause you greater stress on moving day! Equipment, furniture, filing systems – we can move your entire office stress free! Moving a piano is no small feat! Let us handle your paino with the care it deserves! Looking for Affordable Movers? 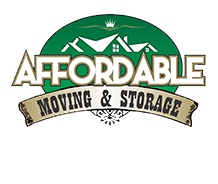 Let Affordable Moving & Storage Help! Whether you’re moving to a new home or relocating your business, local and affordable movers are the best choice for a smooth transition. If you’re looking for affordable movers in New Jersey, look no further than Affordable Moving & Storage. We have the perfect solutions for all your moving needs. The Personal Touch. To a big national moving company, you may be little more than an invoice number or billing address. To a local moving company like Affordable Moving & Storage, you are our neighbor and a fellow New Jerseyan. We understand how stressful moving can be. Since we’re local, we can assess your needs in person and take the extra time to ensure you’re getting the best services and the best deals possible. Community Connections. When you hire locally, you’re dealing with people just as invested in your community as you are. We are well-networked within New Jersey and the surrounding area and eager to share our knowledge and experience. New to the area? We’ll guide you to all the best local resources, from contractors to restaurants and other local attractions. Our friendly staff is ready to help! Better Availability. Moving can be stressful under the best of circumstances. It’s made much worse if you’re stuck listening to phone menus when you have important questions. Our focus on local customers means we can be more accessible to the community we serve. If you have questions or need moving supplies, you’re welcome to visit our offices directly. Speed and Affordability. Moving last minute? Need same day moving services? Because we focus our services on New Jersey and the surrounding areas, we can provide quotes for emergency moves with speed and affordability in mind. Are you in need of Affordable Movers? Please contact us today for a free moving quote! Packing and unpacking – If you’re overwhelmed or running out of time, our professional staff can help pack your belongings quickly and expertly and unpack and set up at your destination. Local moving – You no longer have to pay additional gas and mileage charges to an out of state mover now that we’re in your neighborhood. Don’t be tempted to think you can do it yourself because you’re moving nearby, and risk jeopardizing your health or damaging your belongings. We specialize in local moves and because we’re fast enough to undertake several in a day, we pass on the savings to you. Small moves – Affordable Moving & Storage even makes it affordable to hire a professional mover to shift heavy or valuable items from one room to another, upstairs or to a basement if you’re renovating your house or office or staging your home. We specialize in small moves but can handle big moves too! Long distance moving – Moving a home or business to another city or state is a major upheaval. Delegating most of the chores to us means they get done quickly and professionally, allowing you to concentrate on what you do best. Many major van lines offer a 2 to 18 day delivery window. Because we’re local and independent, we provide same or next day service and weekend pickup and delivery at no extra charge. And because we’re in charge of the whole process, we guarantee there’s no disruption to your routine or business. Seniors moving – Affordable Moving & Storage can reduce the stress of relocating to a retirement home or a state with a warmer climate by making the transition seamless. We’ll ensure that family heirlooms aren’t damaged in transit. As a local moving company, we have in-depth knowledge of the retirement and assisted living facilities in the area. Apartment moving – We’ve assisted with many small residential moves to studios, lofts and efficiencies in New York City and other urban centers. Moving to a large city can be expensive – but your move doesn’t have to be. Piano moving – Pianos are both heavy and delicate, so moving them requires both strength and care, as well as specialized protection and equipment. We’re the recommended piano movers for many piano stores and tuners in New Jersey so you can rely on us with confidence. Commercial moves – Unlike many moving companies, we have in-depth experience of moving businesses and are familiar with the rules and regulations of local buildings and industrial parks. We can assist in planning your office move, transporting your computers and other delicate equipment, dismantling your cubicles and work stations and installing them in your new location. Our same or next day service ensures there’s no disruption to your company’s operations. Warehouse moving – Affordable Moving & Storage provides you with a 100 point checklist to plan your move. We can also pack and transport your inventory swiftly and safely. Our company only uses respectable and trained personnel, not casual labor, reducing the risk of mislaid, stolen or broken items. Storage – Don’t let unused items or excess inventory clutter your home or premises. We can transport them to a recommended clean and secure storage facility in your area. We recommend you obtain at least three quotes from movers in order to make an informed decision. We’re confident that when you compare them you’ll see the advantages of partnering with Affordable Moving & Storage. We pack and transport items safely, ensuring there are no breakages or losses. Our trucks are well equipped with moving blankets, dollies, and all the necessary equipment. We use only late model equipment and trucks to avoid breakdowns. We make small moves affordable by not charging for unused room in our trucks. We stand by our quotes and make sure they’re comprehensive, so there’ll be no hidden costs tacked on at the end. We pack quickly and efficiently so hourly rates are kept at a minimum. We have in-depth knowledge of the area we serve, meaning there are no delays. We’re in your neighbourhood, making it easy for you to obtain an in-person estimate, pick up the right packing materials or lodge a claim. We have a reputation to uphold in our community, so any issues are handled swiftly and courteously.